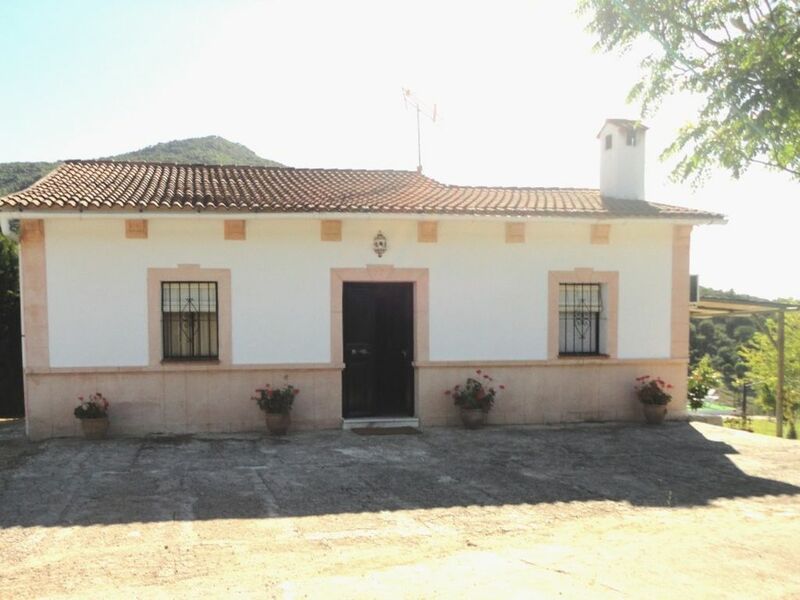 The villa in Ubrique, Cádiz, has 3 bedrooms and has capacity for 6 people. The accommodation is fully equipped and comfortable, and has 100 m2. It is located 100 kms from 'Playas Puerto de Santa Maria' sand beach, 50 kms from 'Arcos Garden' golf course, 5 kms from 'Ubrique' city, 80 kms from 'Aeropuerto de Jerez' airport and 50 kms from 'Estanción de Ronda' ski track and in a well comunicated neighborhood rural. It has pool views, mountain views and garden views. The accommodation is equipped with ceiling fan, independent kitchen, deposit to be paid upon arrival time, barbecue, coffee maker, dishes and tableware, pan, juicer, iron and ironing board, microwave, oven, washing Machine, Toaster, Air conditioning, indoorfireplace, linen - bed sheets, TV, balcony, terrace, garden, garden furniture, private pool, parking included and Spa. - Security Deposit Fee: 250 Euros. - Pet Fee: 10 Euros.